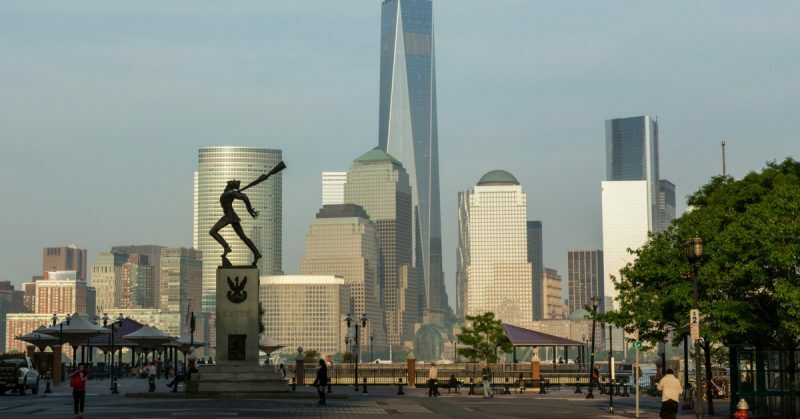 Polish-Americans are protesting plans to move a monument in Jersey City. 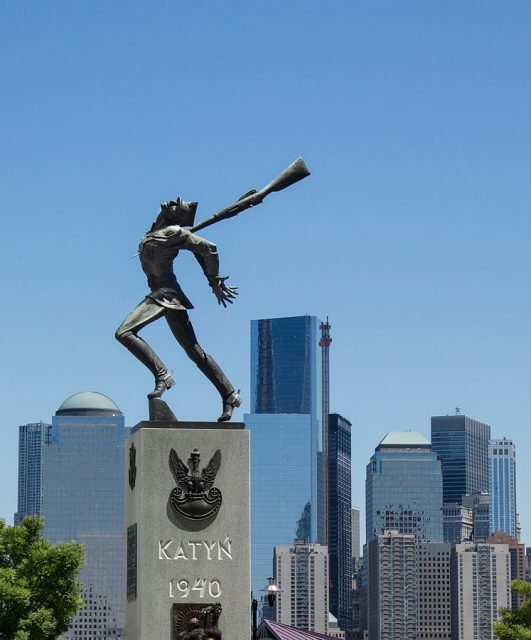 The monument commemorates the victims of the Katyn Massacre of WWII. 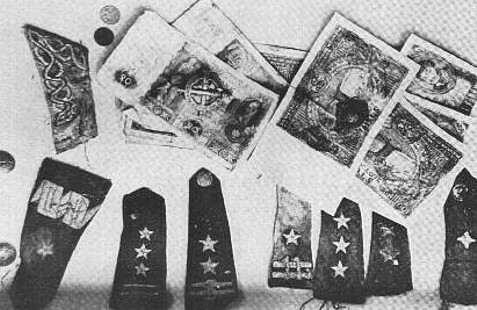 Over 20,000 Poles were murdered by the Soviet Army in the Katyn Forest of western Russia. Polish politicians and Americans of Polish-Jewish descent are among those protesting the decision. The controversial move is due to the work being done along the Hudson River as part of a redevelopment effort. The monument is scheduled to be removed as part of those efforts. The group protesting the move consists of representatives from the Katyn Monument Committee, representatives of groups linked to Gazeta Polska (a weekly Polish conservative paper) and Radio Maryja, as well as veterans’ organizations, Smolensk-Katyn Committees and the Polish American Congress. The statue was created by Polish-American sculptor Andrzej Pitynski, who is part of the advocacy group. It depicts a soldier who is gagged and has his hands tied behind his back while being stabbed in the back with a bayonet fixed on a rifle. The statue is set on a base that contains dirt from the Katyn Forest. 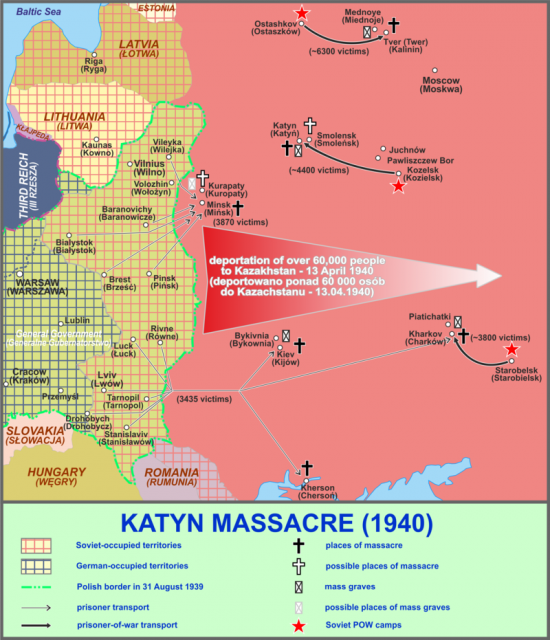 The Katyn Massacre occurred after the Soviets invaded Poland as part of a joint invasion with the Germans in the autumn of 1939 as part of an agreement to divide the Polish state. 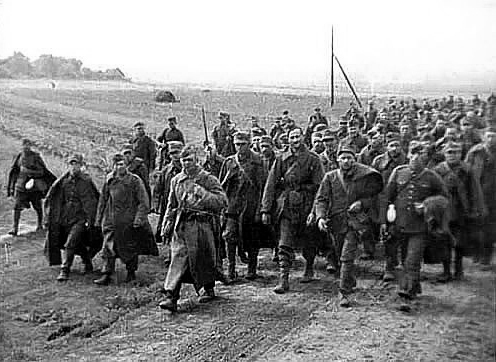 Thousands of Polish military officers, soldiers, sailors, police officers, politicians, and citizens were placed in concentration camps in Russia. They were interrogated, and more than 20,000 of them were executed. Most were shot in the back of the head. 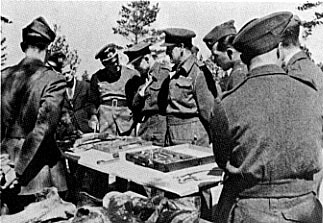 When the Germans invaded the Soviet-controlled portion of Poland, they discovered the mass graves and attempted to use them as propaganda against the Soviets in order to break up the solidarity of the Allied nations. The Soviets, in turn, blamed the Nazis for the deaths. Despite evidence to the contrary, the Allied powers supported the Soviets in order to maintain the alliance for the duration of the war. Jersey City Mayor Steven Fulop has responded that the statue is not being removed permanently. He says that it is simply being placed in storage until work at the park is completed. However, other city officials have said that the monument may be moved to another location so that children at the park are not exposed to the brutal depiction of murder. Stanislaw Karczewski is a Polish state senator. He has called the decision to move the statue “scandalous.” He said that the monument was a testament to the bravery of Polish heroes and a reminder of “tragic events.” As a member of the Law and Justice Party, he was involved in passing legislation that makes it illegal to blame Poland for Nazi crimes. Fulop responded to Karczewski on Twitter. In his response, he called Karczewski an anti-Semite, white nationalist, and a Holocaust denier. 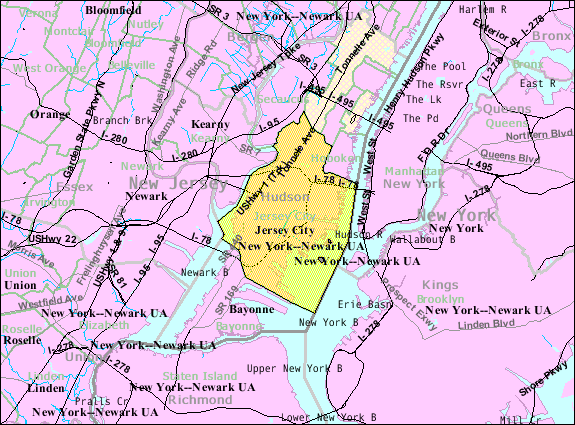 Fulop has not provided any evidence to support his claims. From the Depths is a Jewish organization involved in commemorating the Holocaust and The Never Again Foundation monitors racism in Poland. Neither organization found any merit to Fulop’s claims about Karczewski. The Polish ambassador to the US, Piotr Wilczek, sent a letter to Fulop asking him to apologize and turn his attention to a solution that does not involve moving the monument. Fulop has refused to apologize, writing in another tweet that he refuses to meet with people who want to rewrite their country’s place in history concerning the Holocaust. In Poland, Jewish leaders issued a statement in which they said they could not understand the decision to move the statue and that they disagreed with that decision. They called it a moral obligation to commemorate the victims of this crime.